Most often we consume many good foods about which we hardly have any idea as to what it actually is or its benefits. The best example of such foods is yogurt, pickled vegetables and many others. All these specialty foods use lactic acid fermentation which is a biological process in which glucose and sucrose or lactose and other types of sugars are changed into metabolite lactate and cellular energy. What causes lactic acid fermentation ? Fungi and bacteria are responsible for causing lactic acid fermentation and the most important bacteria are Lactobacillus. Today, at every step we consume anti-biotic to fight diseases. Although these are bacteria, they sometimes kill the good bacteria present in the human body that offer immunity and the strength to fight diseases. 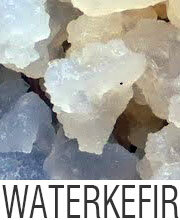 Hence it is necessary that we have lactic acid fermented products that will keep the immune system working properly. Lactic acid fermentation is used to produce various types of specialty foods all over the world. In the Western world, yogurt, sour dough bread, olives and cucumber pickles are common items, while in other parts of the world it is used in pickled vegetables, Kimchi which is fermented combination of radishes, Chinese cabbage, garlic, red pepper and ginger, kefir, fermented milks, fermented cereal and milk mixture, fermented rice and shrimp mixture and many others for their unique health benefits. The sour taste present in these foods is due to lactic acid fermentation. It also improves the safety and microbiological stability of the foods. Cheese, yogurt and kefir are the best examples of lactic acid fermented foods are a little sour in taste. The sugar contents present in cabbage act as preservatives when converted into lactic acid. 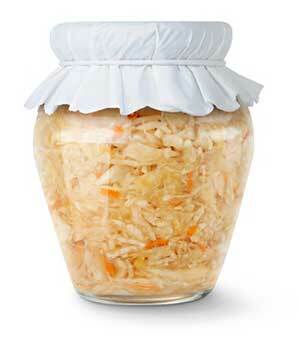 Lactic acid fermented foods like kimchi, sauerkraut, yogurt, kefir etc. and other fermented vegetables help to maintain and also restore the required levels of good bacteria and improve digestive health too. If beneficial bacteria are present in the body, you can prevent attacks of other diseases that are caused by harmful bacteria. 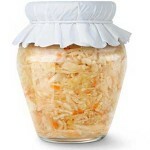 Lactobacillus plantarum which is one of the most used lactic acid fermentation bacteria present in a huge amount in fermented cabbage, sauerkraut etc has wonderful medicinal effects on the consumer. Effective in dealing with constipation and bowel movement problems and pains. Reduces flatulence and bloating to a great extent and thereby relieves bowel related pains. Since antioxidants are present in the lactic acid fermented foods, they help to reduce free radicals. Lactose is hard to digest. But the fermentation process turns it into lactic acid that is easily digestible. Helps to produce Omega 3 fatty acid which is greatly beneficial for digestion and healthy living. It is not that difficult to prepare your own lactic acid fermented foods like yogurt, kefir etc. Since they are fermented by using friendly bacteria namely Lactobacillus, you can keep yourself healthy by working up a little. All you need is milk, live yogurt and a sterile container and the process is very easy. Another unique lactic acid fermented porridge is Magou made with maize and wheat flour that contains the bacteria. Kefir fermentation is more of less like yogurt fermentation. 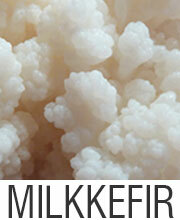 The difference is that kefir uses not only bacteria but yeast also for fermentation. 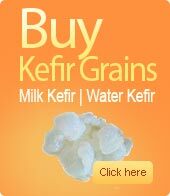 Kefir grains contain proteins, carbohydrates and lipids and when fermented are extremely good for health. You can also make your own fermented vegetables. You can also opt for organic ingredients that you rely on for a better and a healthier life.